Seek To Know The Truth: Is the Pope Christian? Last week Pope Francis ventured above his pay grade with a fallible gaff of historic proportions. In his Wednesday public homily, which usually includes unscripted comments, the Pope announced for the first time in Catholic history, that even atheists can go to heaven by doing good works. Admittedly, this pontification wasn’t pronounced ex cathedra, meaning he wasn’t sitting in his “I’m infallible, so this is God’s truth even if it contradicts the Bible” seat, but still, one would expect the leader of a religion to preach a message congruent with the most elementary tenets of his own faith. I understand that in Catholic doctrine the Pope holds the keys to the kingdom and that whatever he binds on earth is bound in heaven. But contemplate the implications for a moment. On Wednesday (May 22, 2013), heaven suddenly got bound into admitting entry to atheists. Historically, not even Baptists got into heaven, but apparently now God is obligated to let any do-gooder in, even those who don’t acknowledge Jesus at all. How ironic that he declared this on the Feast of St Rita (the patron saint of impossible things). It seems that on Wednesday Rome became way more catholic and way less Catholic. But what about Christian? Biblically, the term “Christian” refers to disciples of Christ (Acts 11:26; 1 Pet 4:16), but it has been semantically annexed by the secular world in an effort to lump together all who claim salvation through Jesus Christ. We all know that Evangelicals routinely question any Pope’s salvation, but only since Wednesday could Evangelicals, Catholics, and even atheists ask in unison, Can this papal opinion be considered even remotely Christian, by any definition of the word? On Thursday, the Vatican issued an “explanatory note” (read: back-pedaling) on what Francismeant. 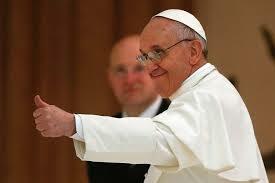 A Vatican spokesman (spin reverend), Thomas Rosica, clarified that those who know about the Catholic church “cannot be saved” if they “refuse to enter her or remain in her.” Phew, for a second there I thought all of Rome had forgotten Catholicism 101; luckily it’s just the Pope. The belief that a person’s good works earns them salvation, is of course, a hallmark doctrine of the Catholic church. Works-based salvation is the particular detail that caused the most irreconcilable schism in history—the Reformation. When Martin Luther purported that Scripture teaches salvation comes by grace alone, through faith alone, in Christ alone, the Catholics took umbrage with the insistence on using the word “alone” (sola). 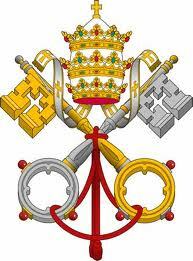 I provided quotes from Vatican II, the officially Catholic teaching here. And ever since then well-meaning peacemakers on both sides of the great divide—a laEvangelicals and Catholics Together—have been suggesting tweaking the language to be more conciliatory and less inflammatory. It’s the Rodney King approach of can’t we all just get along? But never, in the history of even the most bend-over-backwards ecumenism has the Pope declared openly the exact opposite of what his camp believes. Incidentally, the Bible teaches quite categorically that no one does good, not even one (Luke 18:19; Rom 3:10-12). No Evangelical, no Catholic, no atheist. Not even one. Also, Paul said the wages of sin is death (Rom 6:23), but the Pope has inaugurated a salvific payment plan for which anyone qualifies. The requisite price of admission is unspecified “good works.” The lack of specificity should be unnerving. Now that faith in Jesus and Catholic sacraments have been deemed optional extras, who decides which words are good works? Is it good to make a trip to Mecca, is it good to vote Republican, is it good to help finance an atheist advertisement on London buses. How much good is enough good? The whole fiasco is absurd. In Catholicism, the selection of assorted works that are required to be saved has always been a bit of an à la carte experience. But a staple requirement has always included being Catholic, or at the very, very least Christian. 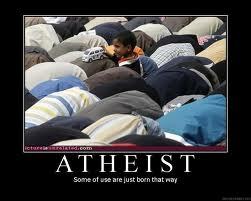 Are There Really Atheists in Heaven? Eph 2:8 For by grace you have been saved through faith. And this is not your own doing; it is the gift of God, 9 not a result of works, so that no one may boast. Sixteenth Century Bible translator, William Tyndale had a vision that with the Bible readily accessible in the common tongue, anyone and everyone could know the Bible better than the Pope himself. Acts 4:12 And there is salvation in no one else, for there is no other name under heaven given among men by which we must be saved.” 13 Now when they saw the boldness of Peter and John, and perceived that they were uneducated, common men, they were astonished. And they recognized that they had been with Jesus. I once asked the cheeky question: Is the Pope Catholic? But I since Wednesday I think there are Evangelicals, Catholics, and atheists who would ask with all sincerity, considering the evidence, Is the Pope Christian?